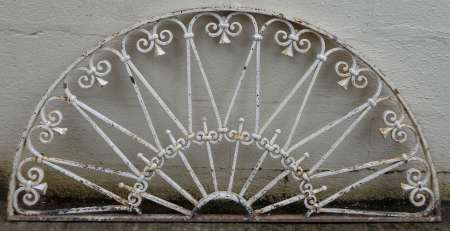 19th century wrought iron balcony railing. 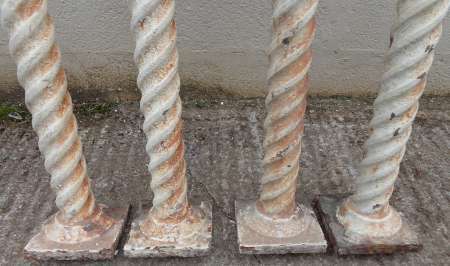 3 lengths @ 1600mm, 1650mm & 810mm / 760mm in height. 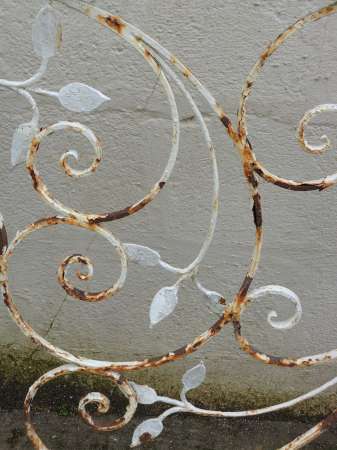 The metal is very solid with only surface rust however 2 lengths need repair. Please enquire for more images. 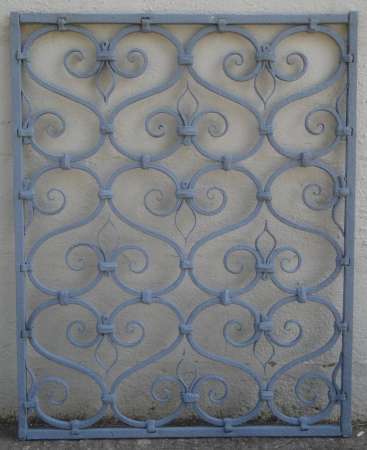 In the hands of a good blacksmith a superb balcony panel could be fabricated. 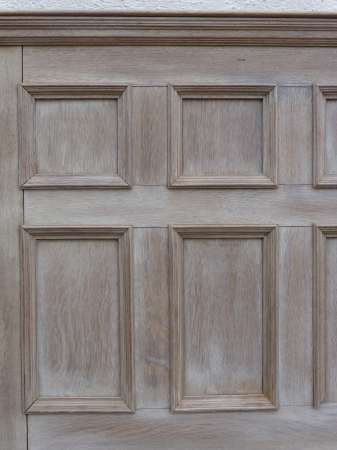 26 7/8″ x 33 3/4″. 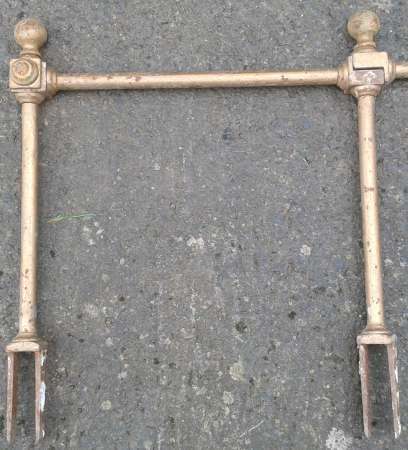 Reclaimed ex-Rhymney Brewery pub sign bracket. 1720mm in height x 1570mm projection / 910mm between sign hanging hooks. 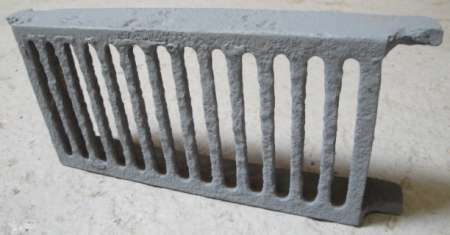 Reclaimed cast iron air vent/brick. 9 1/2″ x 4 1/2″ x 1 1/8″. 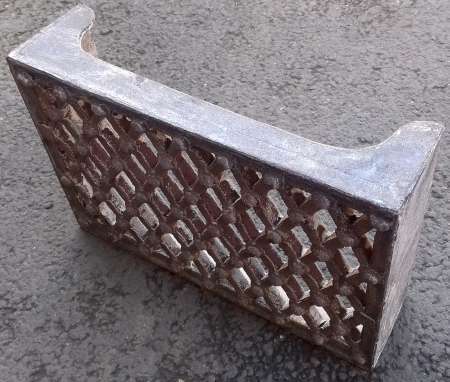 Victorian cast iron corner air brick / vent. 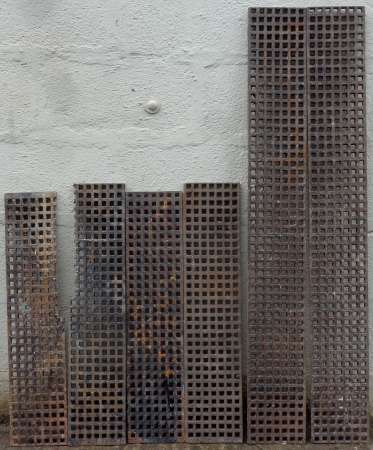 303mm x 202mm x 80mm. 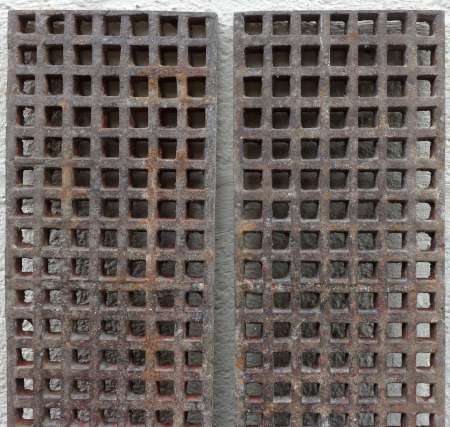 Reclaimed cast iron air brick/vent. 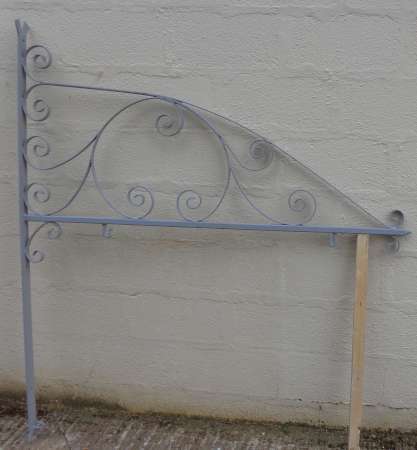 9 3/8″ x 6 7/8″ x 3 1/8″. 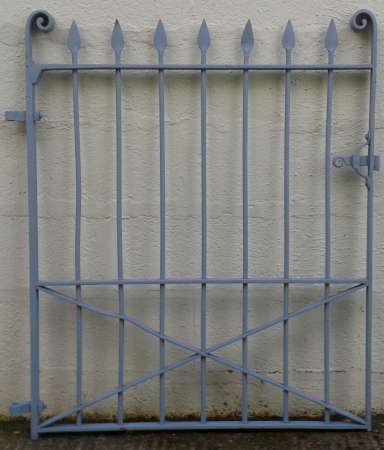 Reclaimed galvanised heavy duty cast iron floor grille. 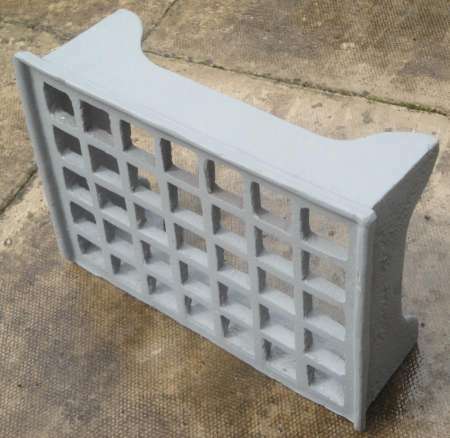 35 3/4″ x 9″ x 1″. 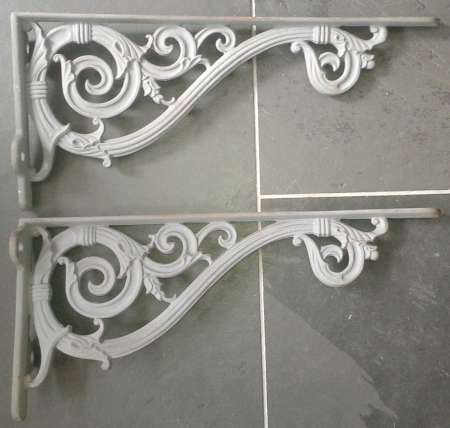 A pair of Victorian cast iron brackets. 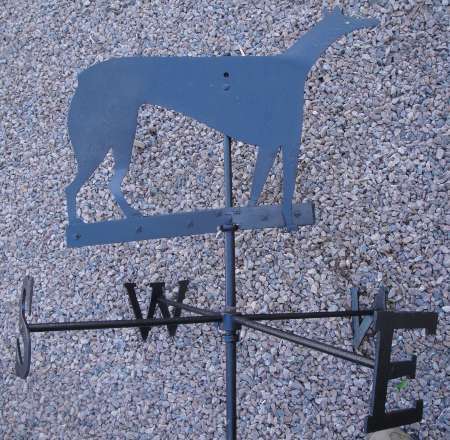 210mm high x 456mm long x 30mm. 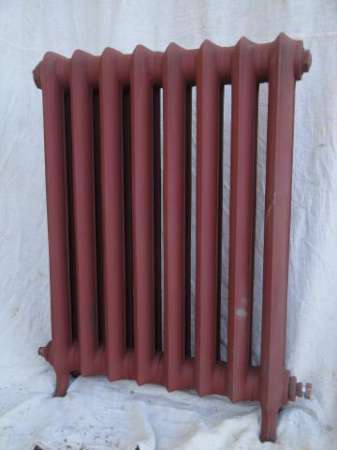 Reclaimed 2 column/Princess cast iron radiator with feet. 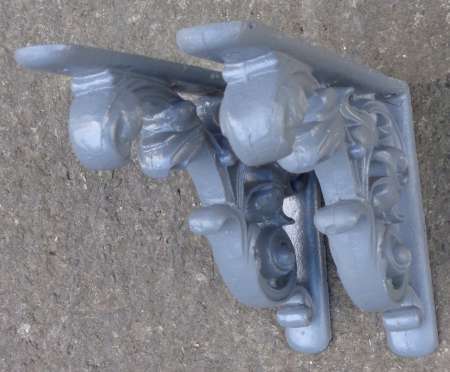 Pair of Victorian cast iron brackets – heavy duty. 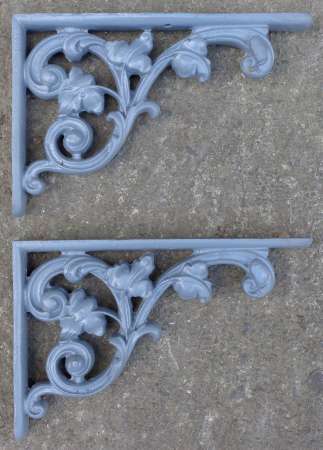 11 3/4″ x 7 7/8 x 1 1/2″. 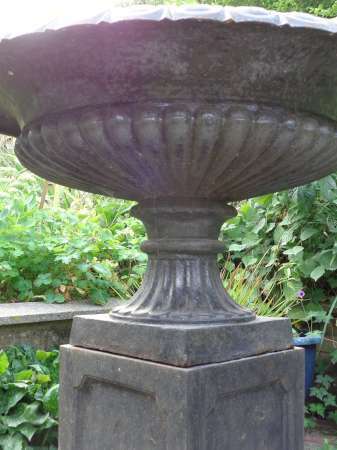 A Victorian cast iron finial. 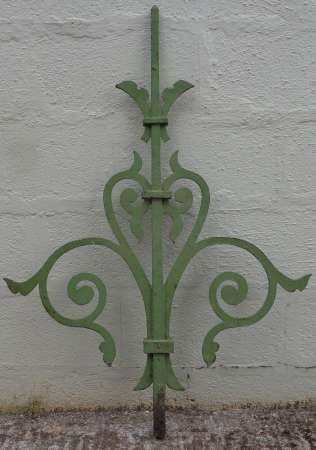 Single Victorian cast iron bracket. 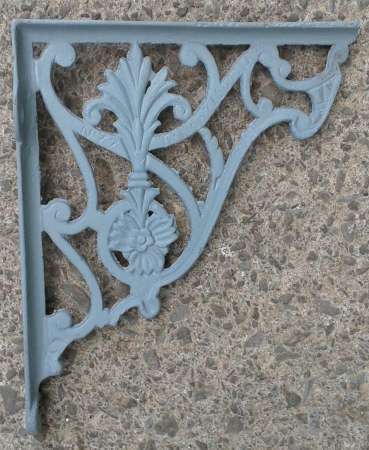 A pair of early blacksmithmade wrought iron wall brackets. 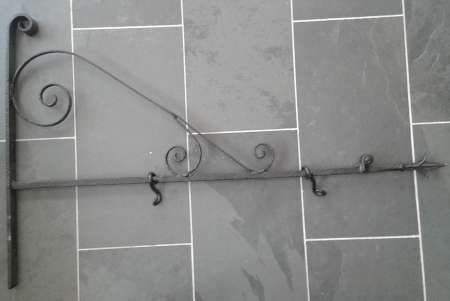 Antique wrought iron pub / shop sign hanging bracket. 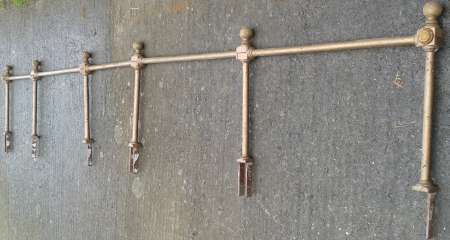 1160mm x 730mm in height / 420mm between hanging “hooks”. 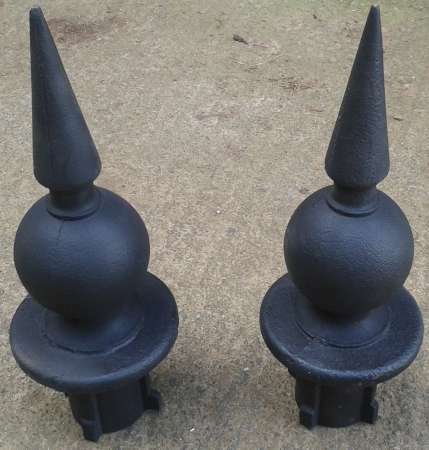 In nice condition & painted black. 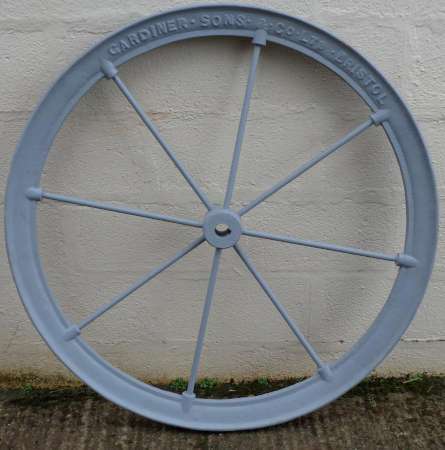 A large antique industrial iron pulley wheel by “Gardiner Sons & Co. Ltd. Bristol”. 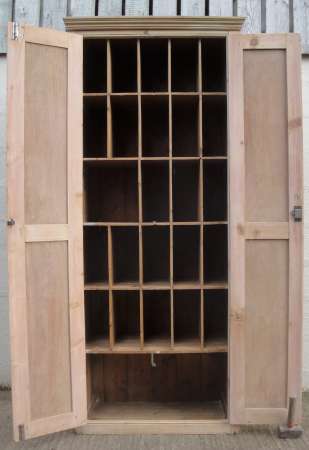 43 7/8″ diameter x 2 3/4″. 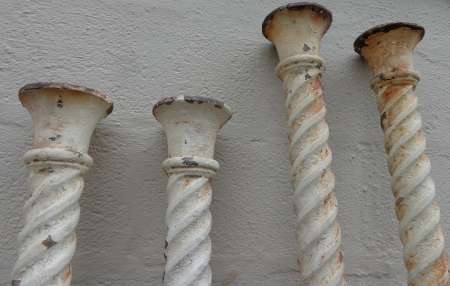 2 pairs cast iron columns. 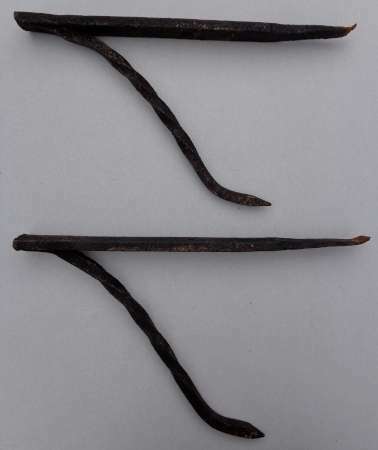 1 pair @ 6 feet long & 1 pair @ 6 1/2 feet long. 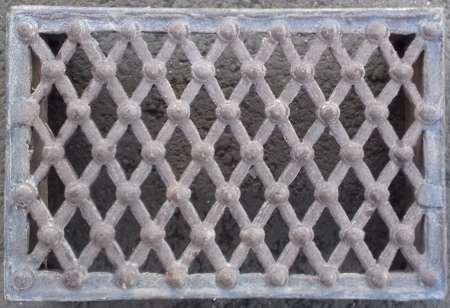 Antique cast iron floor grilles / grids / gratings. 160mm wide x 13mm thick. 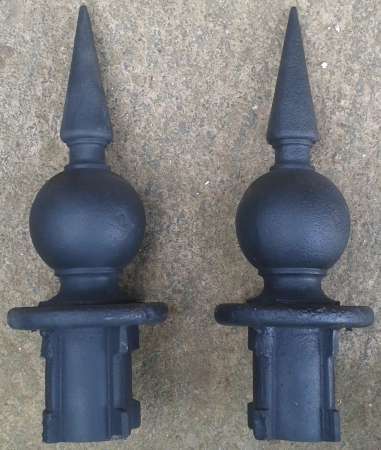 Pair of reclaimed cast iron finials . 490mm max.height / 370mm to be visible x 180mm max. diameter.